Welcome Back! Are you loving this 2 blog post a week deal? I kinda decided to kick it up a notch, and Its fun showing you guys things this often! If you didn’t get a chance to check out this weeks other post, check it out here! It was a super fabulous fatkini lookbook! 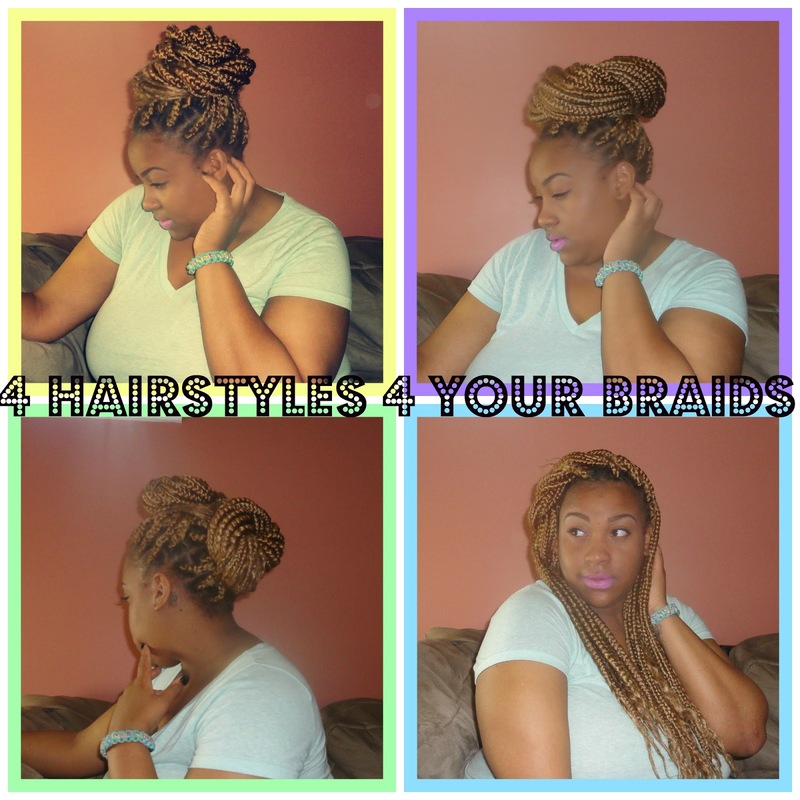 So last week I made a video about my jumbo box braids, so now I’m gonna show your 4 hairstyles that you can do on your braids. 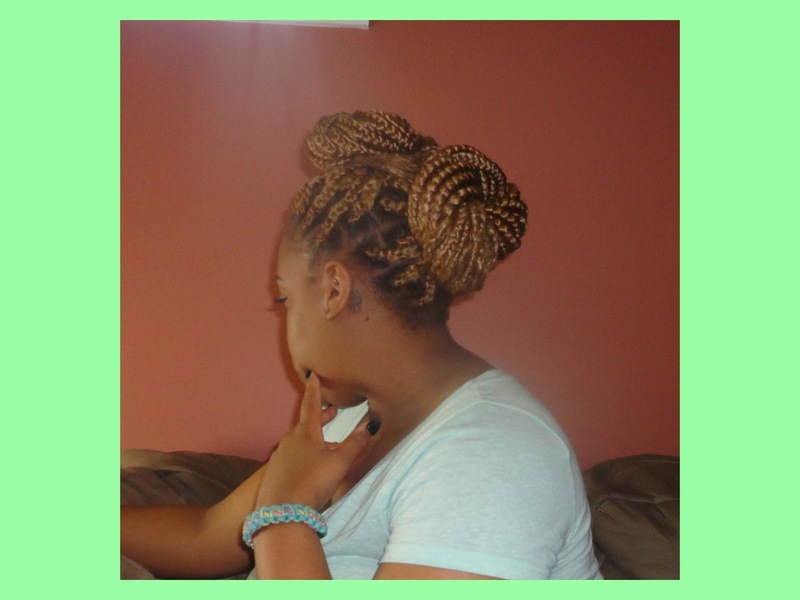 You can even do this style on your regular natural hair if braids aren’t your thing. These four styles have been my go-to styles for this past week, and I thought they were super cute so I figured I would share. So watch the tutorial, and meet me below for more pics and deets! Did you enjoy the vid? I had alot of fun making it! So now for more pics and details! 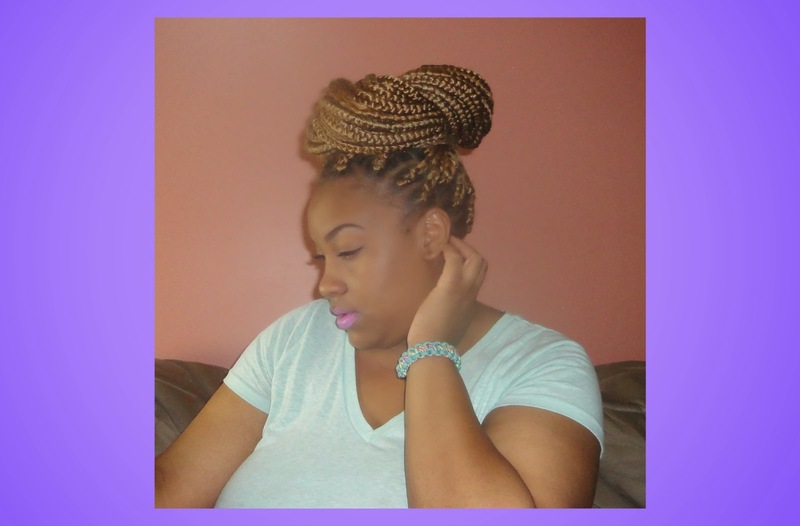 This is just a lil twist on the popular high bun. 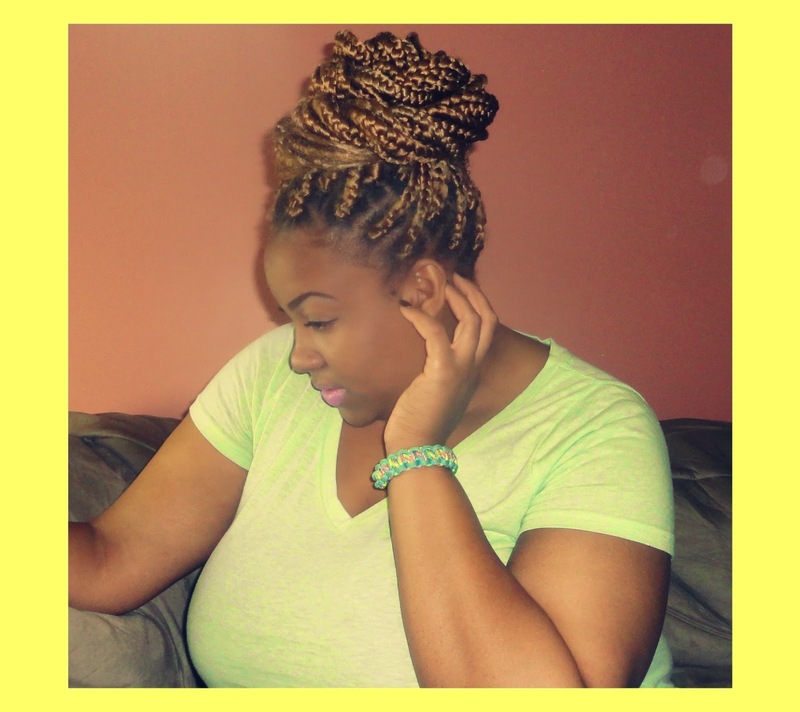 Braids can be pretty heavy, so this is a great way to pin them up out your way with it still looking amazing. The great thing about braids is that they are so versatile! This look can be worn for a formal event, or even for work! Braids are perfect for switching up your look. and is appropriate for any setting! This look is my fave! I always love experimenting and adding flair to my hairstyles. This can also work for a formal event, or work. This look is super casual, and very cute and fun. Its perfect for a running errands, lunch with your girls, or even a nice lil summer date. 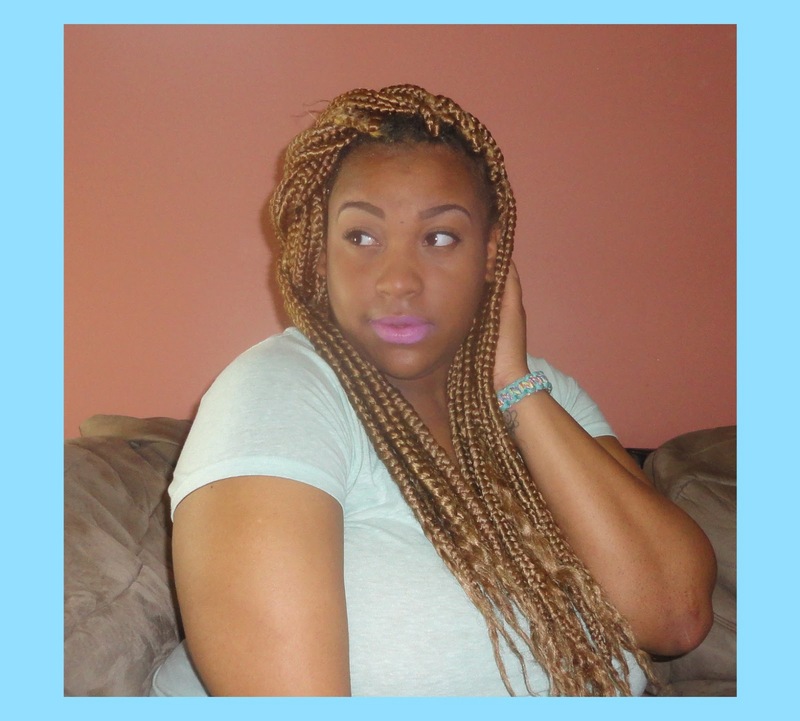 I feel this look is better on regular styled box braids, but I rocked it always with my jumbo ones. So that’s it ladies! I hope you all enjoyed the tutorial! Check back next week for two more blog post! I’m excited about posting 2 times a week! It means I get to share more with you. If you haven’t checked out the new addition to Nothing Minus About A Plus, the store Styled By No Minus Plus, click here to check it out! Feel free to also follow me on any of my networking sites, they are all linked above. Until next time, love ya lots like tator tots, and see you next week!